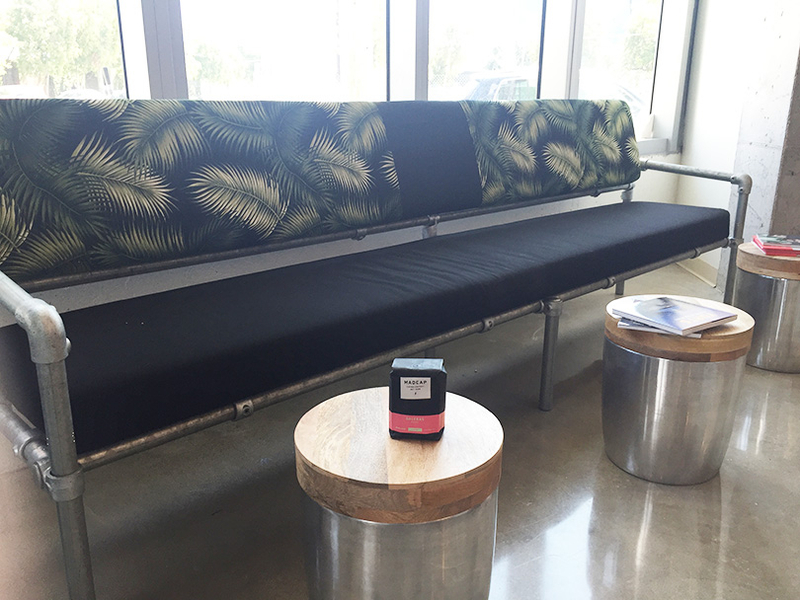 Awhile back we covered these DIY coffee bar tables that one of our customers, Roland, built for their new coffee shop in Miami, Florida. 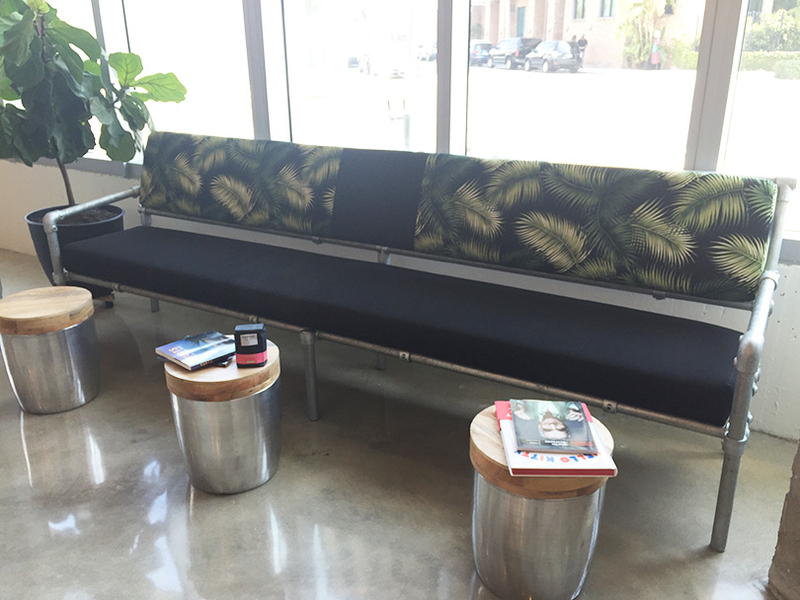 To complete the look in the shop, Roland also built this DIY sofa built with industrial pipe and fittings. Now, it's time to take a deeper look at the custom sofa. As I mentioned above, Roland built this sofa for his new coffee shop, Vice City Bean in Miami, Florida. To build the frame for the sofa, Roland used Kee Klamp fittings and pipe. 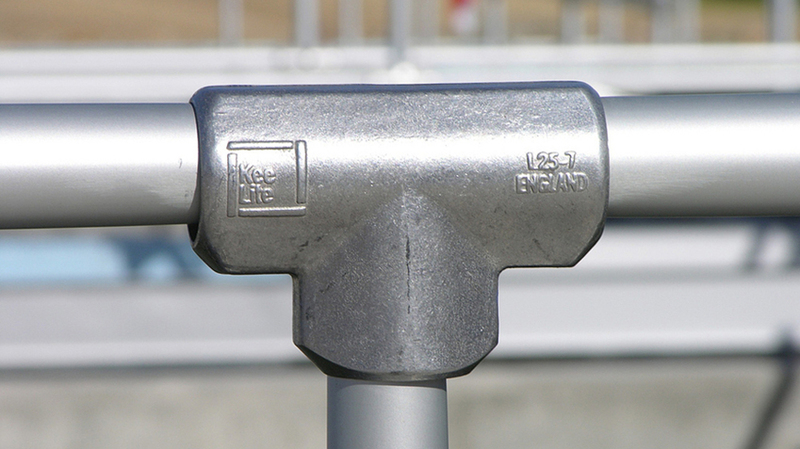 Kee Klamp fittings are similar to traditional pipe fittings yet connect by sliding over pipe and tightening down the set screw on the fitting. This can be done using an Allen Wrench. Traditional pipe fittings connect via a threaded connection. This generally makes Kee Klamp fittings easier to use. 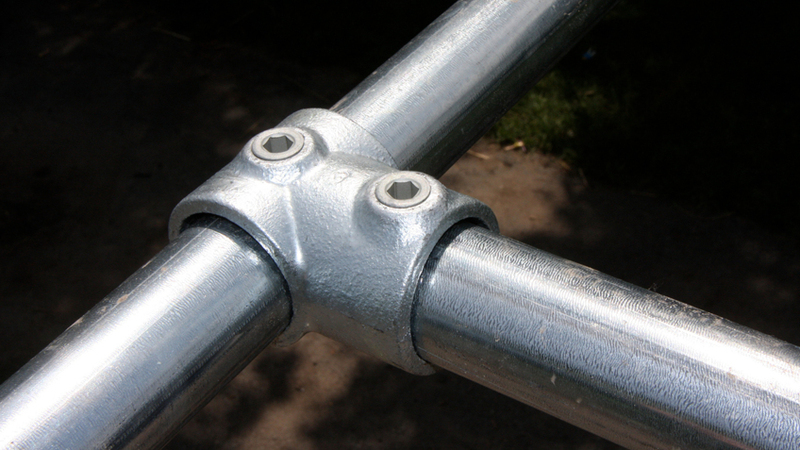 There's also some adjustability in the fittings (which makes leveling structures easier). Lastly, there are over 80 different types of Kee Klamp fittings versus only a few types of traditional pipe fittings. This makes building almost any kind of structure possible. Roland made use of a few speciality Kee Klamp fittings that are not available as traditional pipe fittings (which we'll cover further below). "We used Kee Klamp fittings to construct our coffee shop window bars and our custom bench seat. 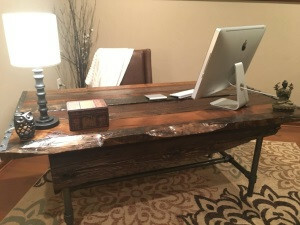 Our customers love the look and everything is solid! We appreciate the great customer support you supplied." 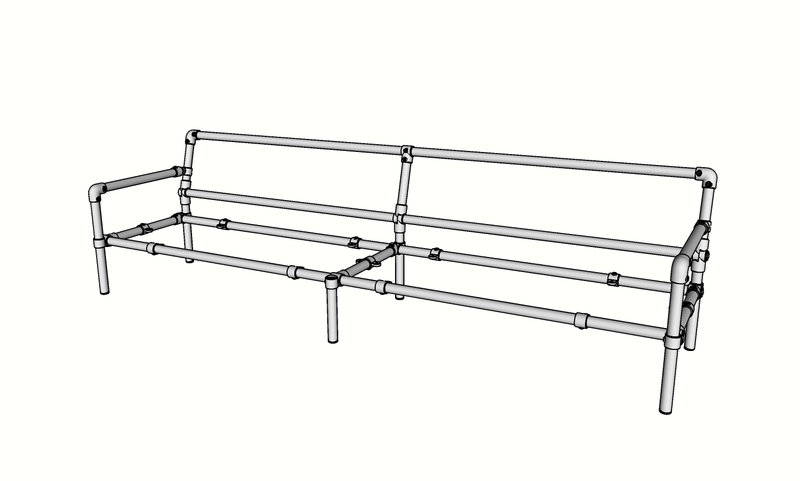 Below, you will find all the fittings you need to build an industrial pipe sofa just like the one Roland built. However, make sure to check ot our full inventory of Kee Klamp fittings if you'd like to come up with your own custom design. We also offer free design assistance to help you create the perfect project. 84-7 - Malleable Plug, 1-1/4"
M50-7 - Male Single Swivel Socket Member, 1-1/4"
46-7 - Combination Socket Tee and Crossover, 1-1/4"
15-7 - 90° Elbow, 1-1/4"
19-7 - Adjustable Side Outlet Tee, 1-1/4"
C50-77 - Single Swivel Socket, 1-1/4"
M51-7 - Male Double Swivel Socket Member, 1-1/4"
10-7 - Single Socket Tee, 1-1/4"
There are several important fittings used to build the sofa frame. 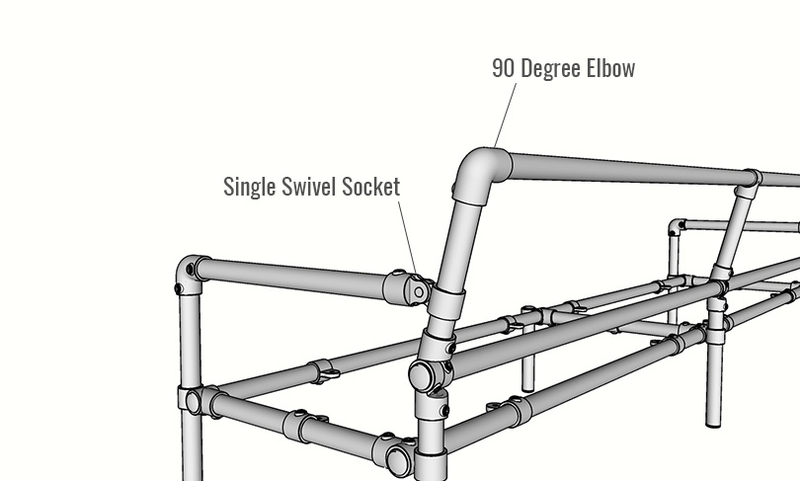 Here, we'll cover where and how each fitting is used so that you can build your own industrial pipe sofa. At the top back corner, the 90 Degree Elbow is used. The Single Swivel Socket is used to attach the sofa armrest. This fitting has a range of motion of 170 degrees. This enables you to create nearly any angle using the fitting. Here, it is used to connect the armrest to the backrest which has a slight angle to it. 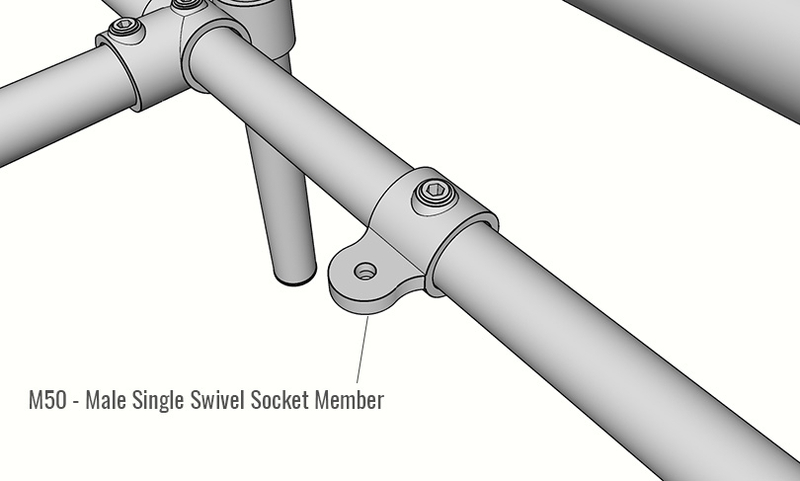 At the top of backrest, at the mid support, the Single Socket Tee is used. 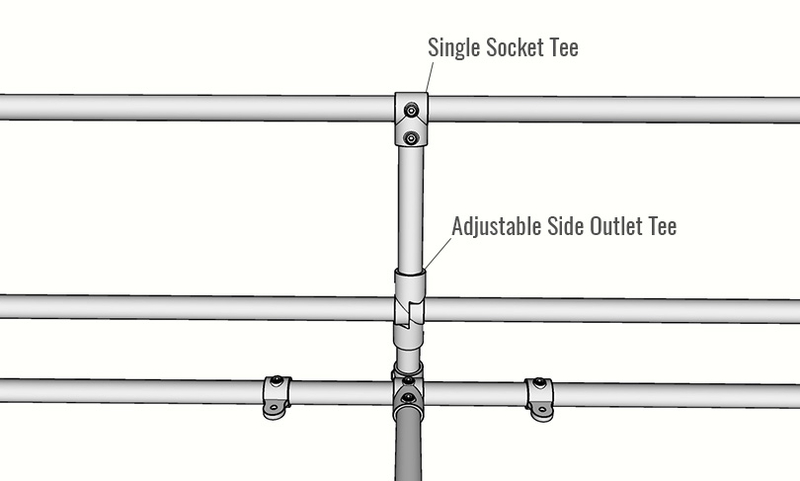 To connect the backrest to the rest of the frame, the Adjustable Side Outlet Tee is used. 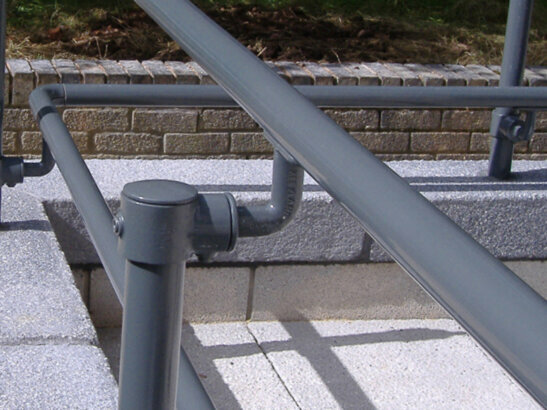 This fitting is actually two separate fittings that can be used to create nearly any angle. This allows the backrest to have a slight tilt to it. 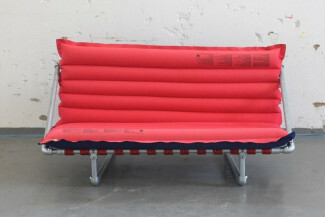 To connect the platform that supports the sofa cushion, the M50 fitting is used. Alternatively, the Single Tab Panel or P50 fitting could also be used. The M50 fitting slides onto the pipe support and has a tab on the other end. This tab has a hole in it that can be used for mounting the platform. For example, a sheet of plywood could be placed over these M50 fittings. Using the holes in each fitting, you could use wood screws to attach the plywood. You could then place the sofa cushion on top of the plywood. 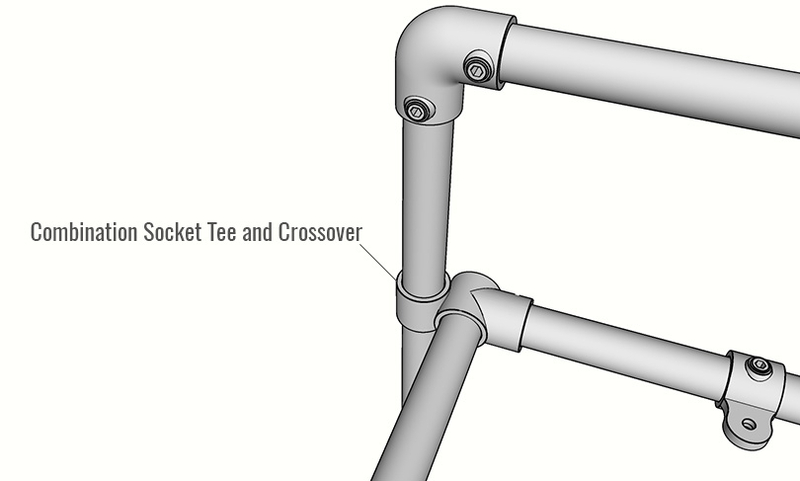 To connect the front and back legs, the Combination Socket Tee and Crossover is used. 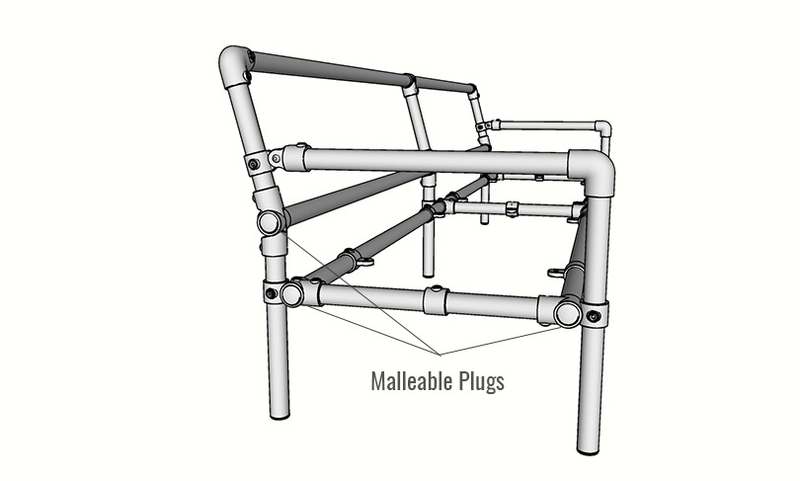 Lastly, to cap off any exposed ends of pipe, the Malleable Plug is used. This fitting can be inserted into the exposed end of pipe and hammered in using a soft-edge mallet (as to not damage the finish of the fitting. The Malleable Plug is optional. If you have any questions picking out the right fittings, assembling your project, or coming up with the perfect design for your project, don't hesitate to reach out to our team for help. We offer free design assistance and we'll work with you until we've come up with a design that meets your needs perfectly.